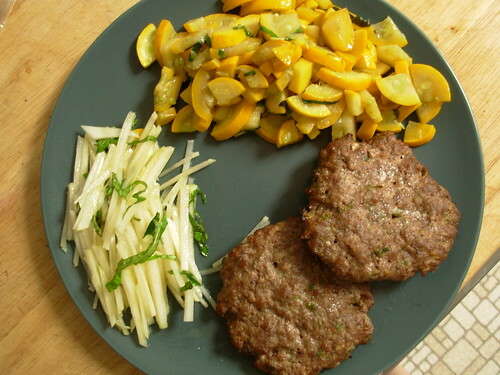 Elizabeth- that looks really good, especially the yellow squash. Sory it wasn't as tasty and exciting as it looks! Camille - Thanks for the recipe! Kohlrabi is kinda new to me so it's always good to see how other people use it. 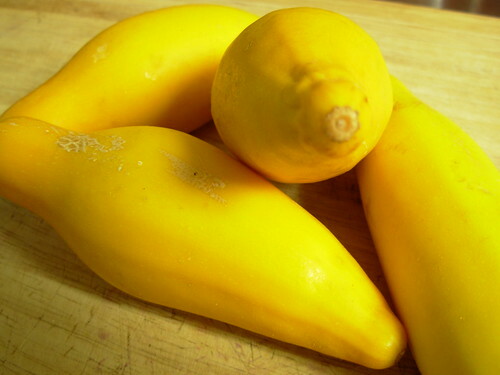 Yummy Gatherer - The yellow squash would have been so awesome if I had cooked them in butter, but I try to keep dairy products away from the blog so I cooked them in lard instead. Boo. Thanks for the comment about my photos!